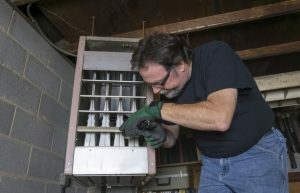 Schedule Your HVAC Maintenance, Today! How much thought do you put into your HVAC maintenance? With so many other things to worry about in your daily life, it can be difficult to remember to take care of your HVAC system. If it works fine, it probably is fine, right? While it may be working okay right now, it may not stay that way. 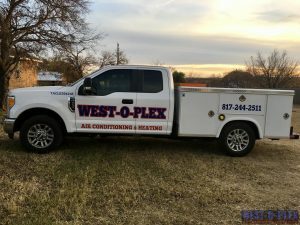 HVAC preventative maintenance is something you won’t need to worry about if you have a maintenance plan with West-O-Plex Air Conditioning and Heating. Let our professionals help you with their expert commercial services that are always high-quality. If you decide to get a plan with us, we will be able to see when your last maintenance appointment was and come out all the times of year you should have this service done, and do it for you. Take the remembering out of it and let us take care of it all for you. Seasonal maintenance is important to know beforehand so that you don’t get into the dead of summer and all of the sudden your air conditioner decides to go out on you. Our professional HVAC technicians will be able to help you with this and let you know all of the different times that this type of service should be done. When you do call us out there to do a service, we will be doing an inspection as well as several tune-up services. A few of those services include: cleaning condenser coils so that your wear and tear is limited, making sure that your coolant levels are where they should be, calibration of your thermostat, ductwork inspection, and evaluating overall performance. We look over your system and make sure that everything is working as it should be. This is so important and should be done through every season. This can be done alongside air conditioning preventative maintenance as well and will all be covered under our maintenance plan. When you need HVAC maintenance done in Fort Worth, TX and surrounding areas, call us at 817-244-2511 and we will be able to help you in any way we can. Our biggest goal here is to make sure that your HVAC system is always running smoothly and working the way it is supposed to. When Should I Have My HVAC Maintenance Done? Before the big maintenance season rolls around, it is a good idea to make sure that you have your appointments scheduled ahead of time. The rates will likely be better for you if you get them ahead of time instead of trying to get an appointment in the middle of summer or winter. What we recommend is that you get a maintenance package from us so that you have priority to our scheduling and we will remind you that it is time for your tune-up. The best times to have your maintenance done is right before winter, so around fall and then right before summer is about to go into full swing. This will catch your heating system and air conditioning system before anything goes wrong. There is nothing worse than going to turn your A/C on, on a hot day for the first time and it doesn’t work. We can help you stop that problem before it even happens. Give Us a Call And Let Our Professionals Help With Your Next HVAC Service. Problems can arise at any time with your HVAC system. You will want to make sure that you are taking the proper precautions to avoid any future problems. Here are some of the most common issues that will come up from time to time with your HVAC system. There are a few simple ways that you can fix these issues right away. One of the biggest and easiest is to change your air filters. These catch dirt and other items from flowing down into your ventilation system and causing clogs. They will also be able to lower your energy bill and if changed regularly, keep your system running properly for as long as it is supposed to. If you have someone in your home that has allergies, this will also help limit the number of allergens in the air. You can even buy special filters that are better for homes with animals or kids with asthma. Another way is if your system seems to not be working, go right to your thermostat. Make sure that the batteries are working if it is battery operated and then make sure that it is in the on position and turned to either heat or cool. If this doesn’t help at all, make sure you call West-O-Plex Air Conditioning and Heating right away to make sure that it is not something much more serious. If you ever have questions about your HVAC system or scheduling an appointment for HVAC maintenance in Fort Worth, TX, call us at 817-244-2511 so that we can help you right away. Updated on January 10, 2019 at 9:46 am by West-o-plex.